Just as they are at the leading edge in other dental technology, Dr. Ken Magid, DDS, FICD and Dr. Sabrina Magid-Katz, DMD use the latest, most effective sterilization methods. All the equipment that is not disposable is sterilized in an autoclave, powered by sterile nitrogen instead of air, the same way that it is done in a hospital operating room. You can relax with confidence, reassured of our germ-free, worry-free safety procedures. The sounds of dentistry can be annoying and cause apprehension. Our doctors at Advanced Dentistry of Westchester provide Bose® noise cancellation headphones, so you can listen to music during treatment and be virtually unaware of the noises in the office. 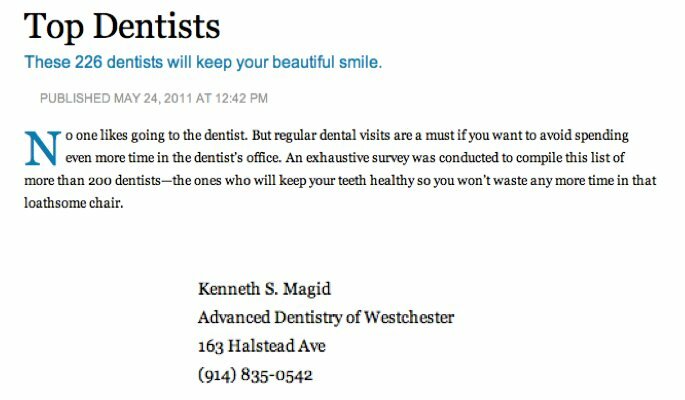 Dr. Magid, DDS, FICD and Dr. Magid-Katz, DMD believe that excellent care is only possible in a patient friendly environment. A positive experience brings patients back year after year. Using “virtual reality” glasses, you can watch a movie or short subject as if you were in a full size movie theater. With these amenities, you will feel as though you are at home, or better yet, pampered and free to relax.